it’s been a while since a decent “walk and brunch”, so after an intense couple of days of work in sydney + a beautiful sunny day emerging in melbourne, the husband + i spent the morning walking down to feast of merit in richmond. 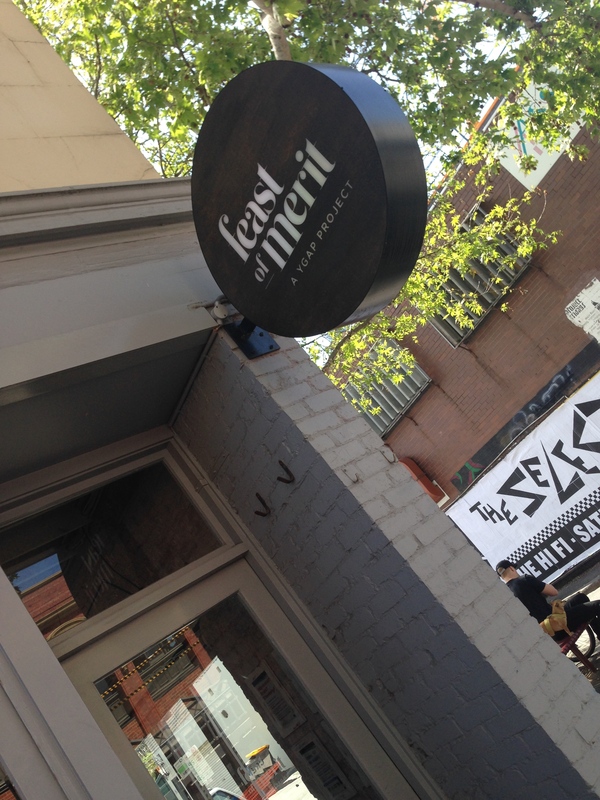 according to their website + menu “feast of merit is a social enterprise owned and run by ygap, and all profits raised directly support (our) youth education and youth leadership projects in malawi, ghana, rwanda, bangladesh, cambodia and australia”. 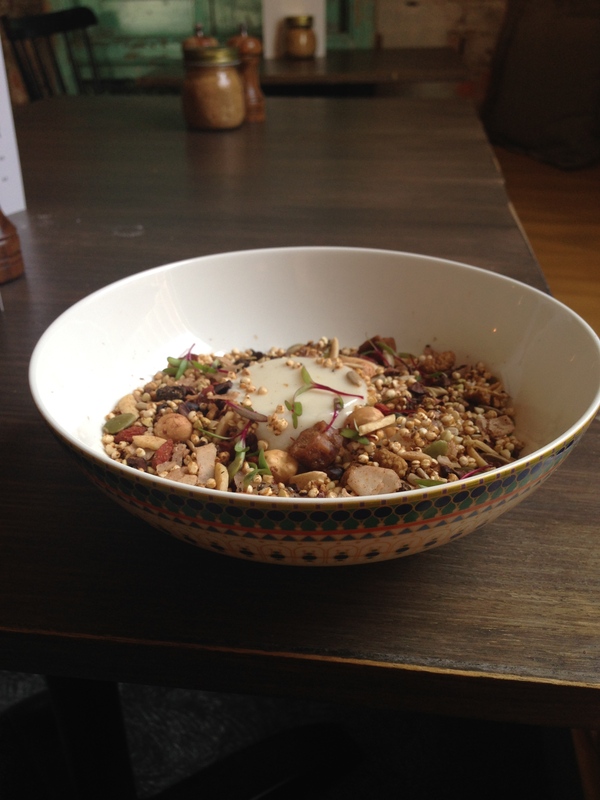 the cafe offers “delicious seasonal produce, raw foods and an assortment of locally sourced drinks”. 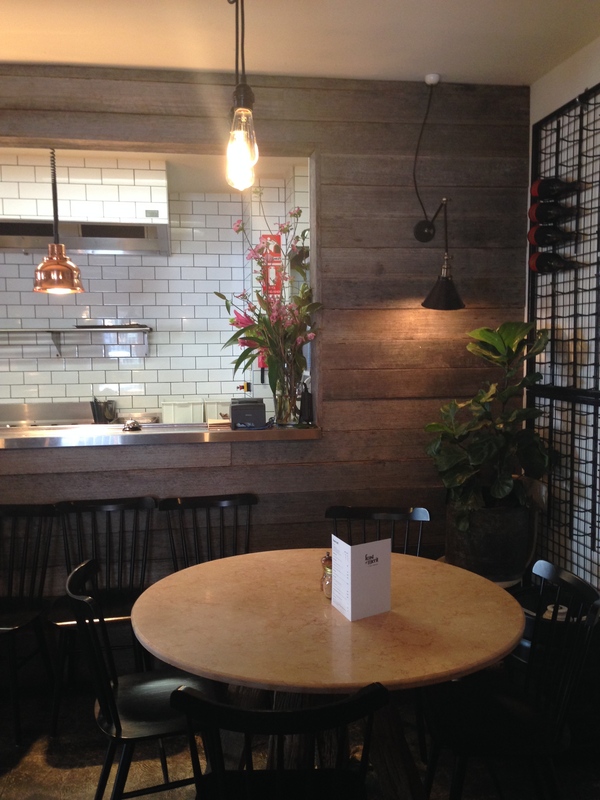 their philosophy is driven by “being local, ethical and sustainable”. this place is one i’ve had my eye on for some time, so i was excited to try it this morning. 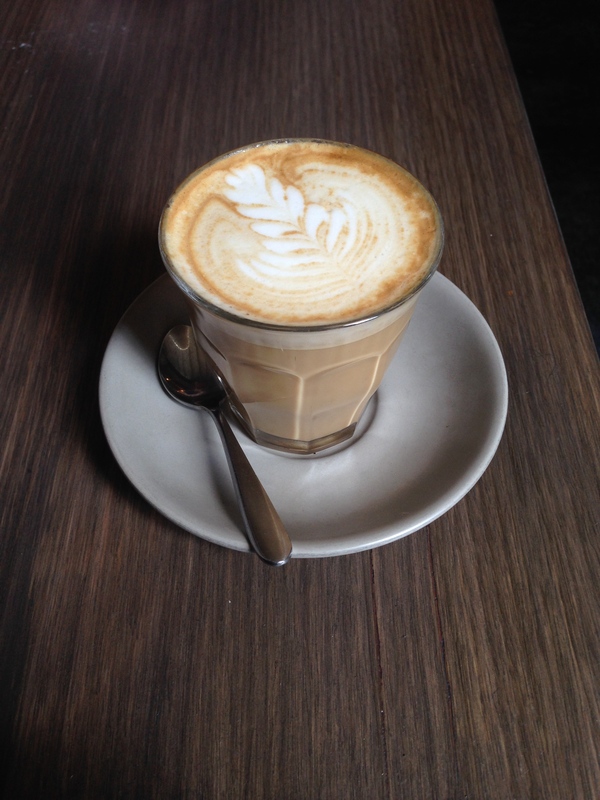 the coffee is st ali + the cafe uses larsen + thompson teas and st david dairy. on top of beautifully smooth + delicious coffee, there are also cold pressed juices + smoothies on offer – the drinks menu comes stand alone to the food menu + is certainly extensive. flavours like the gandhi enlightened smoothie (spirulina, maca, cranberry, fresh coconut, coconut flesh, lsa, pure lime essential oil + coconut water) caught my eye + will be on my list for next time. 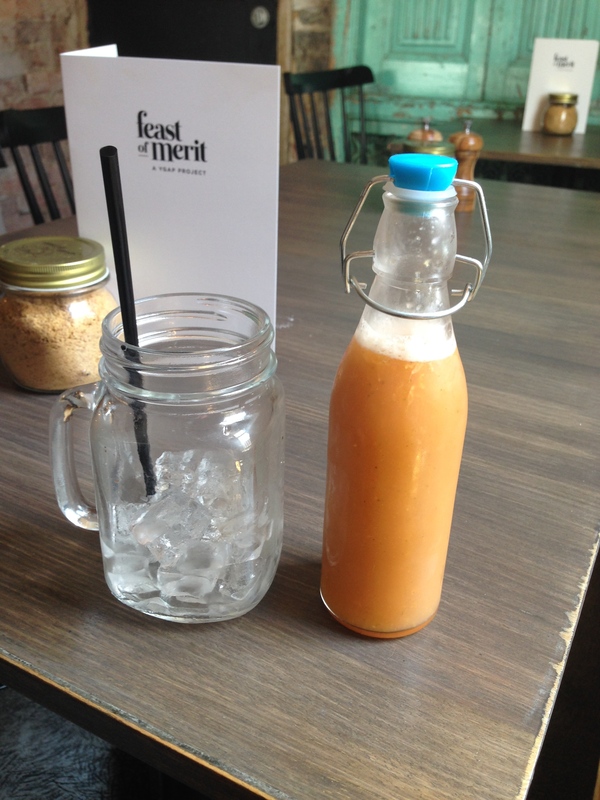 a refreshing fruity juice served in a gorgeous mini milk bottle + glass jar. served in skillet-for-one, the eggs were baked perfectly with a kidney bean + chickpea combination in the fresh tomato base. this dish had fantastic flavour, with a generous serve of tahini labneh + olive oil as all best middle eastern-style dishes do! 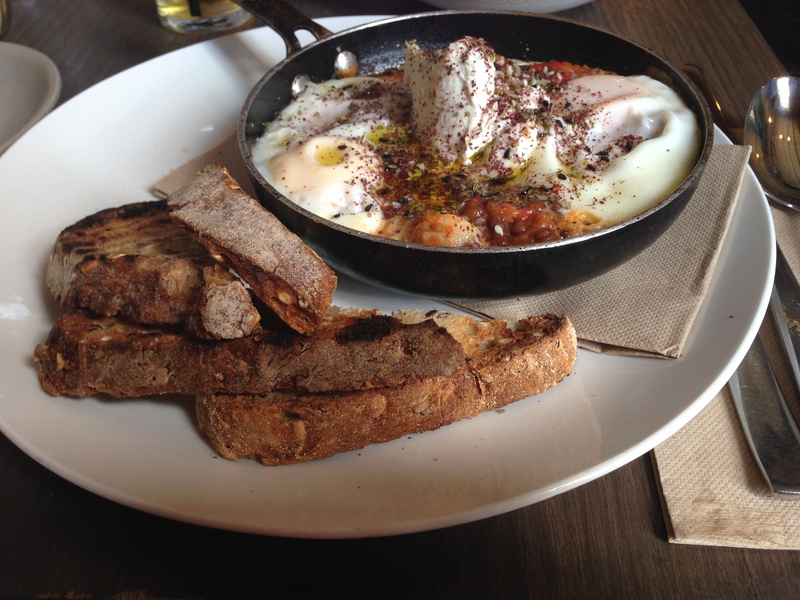 shakshouka + any form of baked eggs are in my top 3 all-time dishes + this certainly helped to continue my love for this dish! 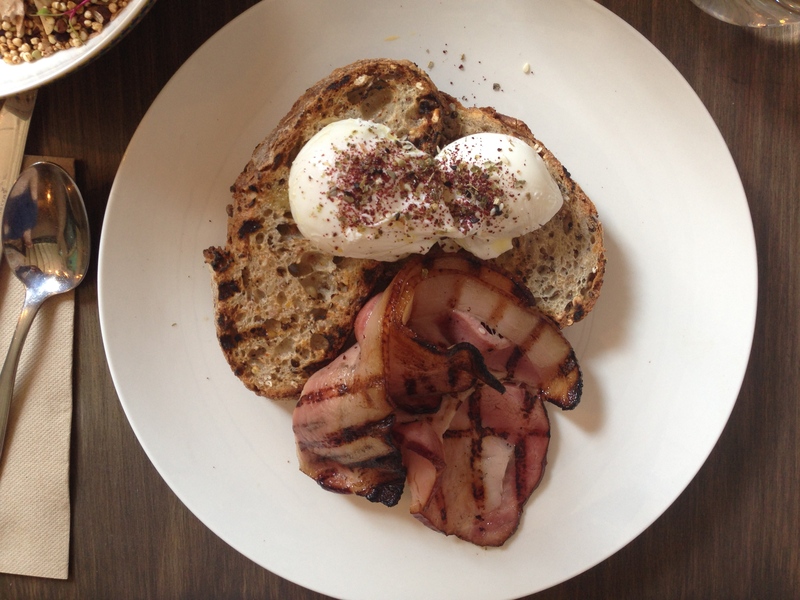 runny yolks + beech smoked bacon – no guesses necessary for whose dish this was! this earthy + wholesome “yousli” was a perfect way to end our brunch – full of flavour, texture + nutrition. the coconut panacotta was subtle + light, and with a side of milk this was delicious! unfortunately, i was let down a little by the service – not as friendly as it could have been; and certainly didn’t appreciate the mother who proceeded to change her baby’s nappy on the seat next to us – i didn’t need that odour in my nose whilst eating breakfast! despite this, the cafe does have a great vibe, with industrial + exposed brick throughout and i love the sustainable philosophy and earthy + middle eastern influence of the menu. you have a lovely blog 🙂 and this place looks amazing!